Share your top favorite photo you took in June and provide the back story. I took many pictures in the month of June since we were on vacation. I love taking pictures at Hilton Head and we also took a lot of pictures the day we visited Savannah for our other websites. I spent most of the day shooting different buildings and the kids enjoying history. However, this is one of my favorites and it had nothing to do with history, learning, or visiting Savannah really. We had been touring Savannah all morning and early afternoon and it was really HOT and HUMID. It was getting to all of us I think. We decided to get off the trolley at this new square that has a parking garage underneath it. The kids saw the fountains and wanted to go play in them. Normally, I would have been like “no” because they were in their clothes and didn’t have a change of clothes. My daughter has a huge issue with wet clothing and has to immediately remove it and change. I was a tad worried. Also, we had more of Savannah to see and an hour drive back to Hilton Head. However, sometimes you just have to play in fountains and do something fun and unexpected! They had a blast! They were completely soaked. We had no towels or anything to dry them off with. They cooled off, we enjoyed watching them, and then we got back on the trolley and continued our tour. Of course I’m sure the trolley driver wasn’t thrilled to have soaking wet seats, but hey, you gotta live a little from time to time. My only regret is that I didn’t go play in the fountains with them! 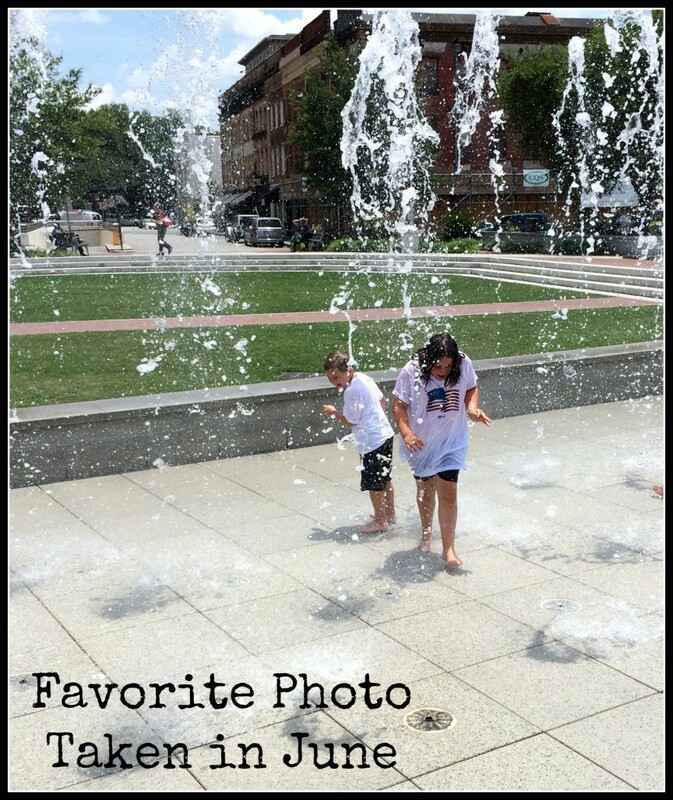 It was one of those moments that I’m sure they will remember when we talk about our visit to Savannah – the time they got to play in the fountain in the clothes and cool off! I can’t say I can remember anything like this from my childhood, so I hope that I am creating memories for them that will come back up and be told at family gatherings when we talk about our fun adventures. This looks so fun and refreshing, great image and story! When it gets that hot and humid you’ll do ANYTHING to cool off. I’d be jumping in those fountains too!